"Excellent work done by Tom. He came when he said he would. Kept in touch with me by phone. Did a wonderful job and made sure everything was cleaned up. I would recommend him without hesitation. Thanks Tom. Delighted with the roof!" "We were very pleased with the job and Tom was very nice and professional. Would definitely have him again. Thanks." "Thanks again for your dedicated work today, above and beyond the call!" "Great job! 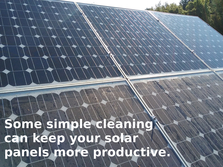 Our roof is spotless now. Excellent customer service, very friendly and professional, great price. I will recommend Tom Smith to all our friends. THANK YOU!" "This provider was on-time, professional and personal. He completed the job quickly and it was done well. 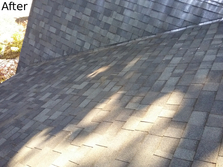 I would definitely use Oregon Roof & Window Service again and recommend with no hesitation." "Tom was quick to respond to our inquiry. Very pleasant, and more important, actually showed up when he said. Even called ahead to keep us informed that he was on schedule. Work was great -even cleaned off my truck that had some moss get on it. 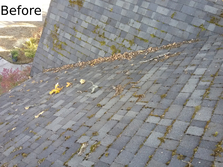 I would highly recommend him and will continue to use him for preventative maintenance." "We have windows with internal blinds that required opening and cleaning inside. We have had less than satisfactory experience with previous cleaning service companies...We are more than satisfied with the results. Tom was patient, professional, and thorough. 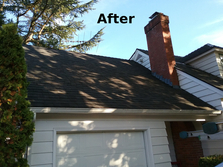 We highly recommend him and will use Oregon Roof & Window Service in the future." "I would recommend their work!" "Tom was a pleasure to work with and did a wonderful job on my windows, screens and tracks." 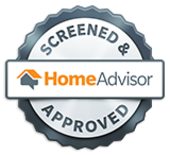 "They were very efficient and did an excellent job. 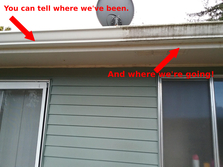 They even charged me less than they originally quoted as they said the gutters did not require as much time as they had estimated. That is honest. They were prompt, efficient and very courteous." "Amazing!!!!! Tom went above and beyond. He was as thorough and as conscientious as I could ever want! I'll be his biggest fan from now on :)"
"My window cleaner was prompt, professional, and courteous. My windows never looked so good!" "Tom is knowledgeable, friendly, courteous, and professional. I would not hesitate to recommend him to anyone with similar needs." 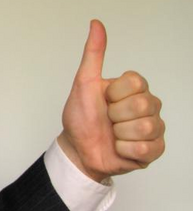 "Tom is excellent. 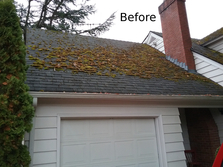 He cleaned the moss off the roof and then told me I had two cracked and two broken tiles that need repair. I would never have known that. His pricing is very friendly. I was very satisfied - and impressed." "I've never been more proud of my windows and roof!" "Tom worked HARD. He showed up on time which is always a huge plus, worked neatly and efficiently, and was an extremely pleasant gentleman. He also responded IMMEDIATELY to my quote request." "I can't believe how dirty they (windows) were. Amazing, I can now see out of them again." "He does a good job and cleans up after he is finished." Need more proof? You probably want to know what kind of results you can expect. Below you'll find a collection of photos of our work with some "before" and "after" snapshots and even a photo or two to help you avoid some costly, damaging mistakes. If you have more questions after reviewing these images, please feel free to call us - most questions we can field right over the phone. by clicking the orange "Share" button.